Pastor Trent hails from Lumberton, NC and accepted God's call to vocational ministry in 2013. 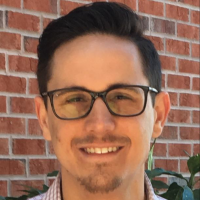 He received a Bachelor of Science in Biology from the University of North Carolina at Pembroke and is now pursuing the Master of Divinity in Pastoral Ministry at Southeastern Baptist Theological Seminary, being set to graduate in Fall of 2017. He has served previously as youth Sunday school teacher and pulpit supply at various churches and served most recently as the Associate Pastor of Green Springs Baptist Church. Having been blessed to accept Christ at an early age under the care of Christian parents, Trent desires to see children and families come to Christ and to develop in them a biblical foundation that will last for eternity. In addition to his responsibilities as Children's Pastor, he sells cars at his family's dealership in Lumberton. Trent is married to his precious wife HaLeigh and is enjoying time with his new son Blaise.